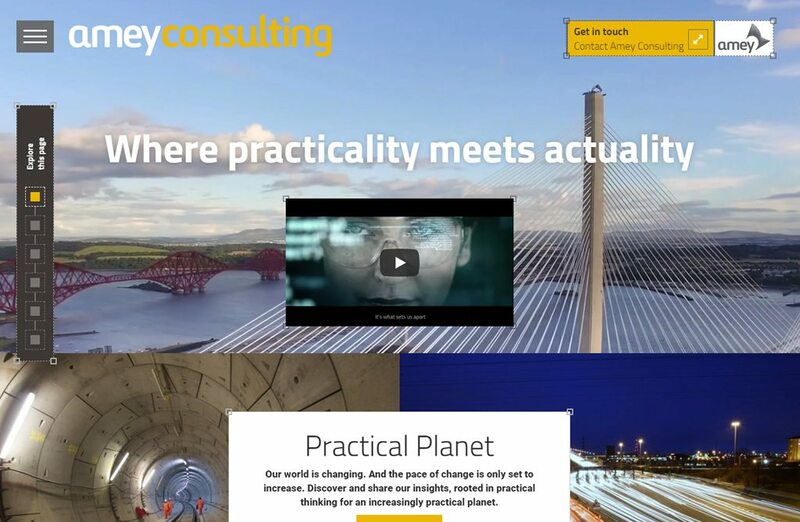 Working closely with the team at AMEY and their development partner Agidea, we have designed and built the templates (HTML, CSS, JS) for the new Amey Consulting venture. 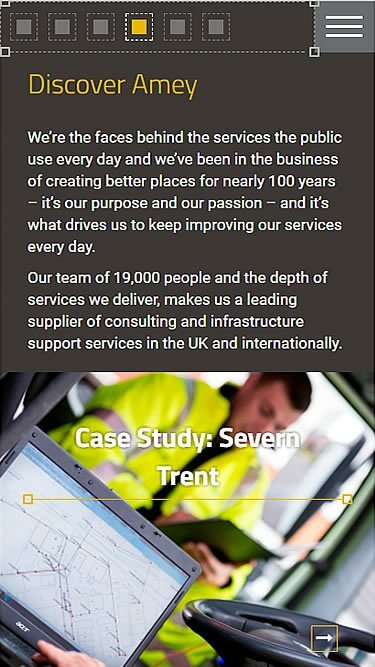 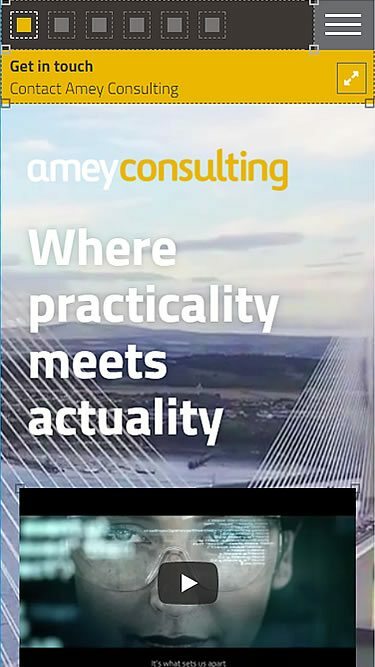 Amey Consulting specialise in designing infrastructure solutions, transforming how our transport, utilities, property and public assets perform, day in, day out. 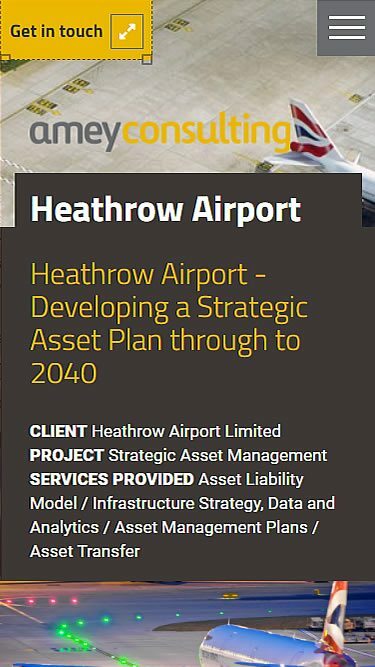 The initial phase of the project was launched in late November with further phases to come.